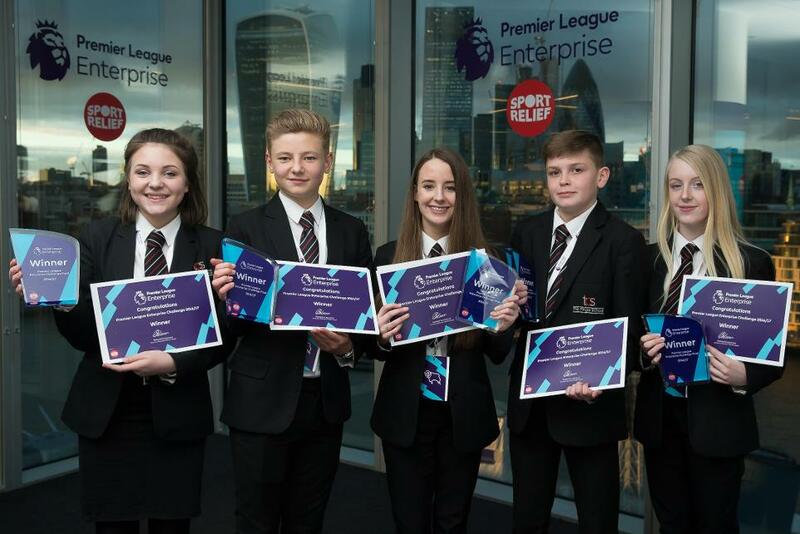 Back in the autumn, a team of students from the Pingle School in South Derbyshire were business studies novices as they embarked on this year’s Premier League Enterprise Challenge. Five months on, and after plenty of hard work, the Year 9 students, representing Derby County, are celebrating their becoming the 2016/17 PL Enterprise Challenge winners, having impressed a panel of judges with their business plans and presentation skills. "I am really proud," said Layla. "I thought the presentation went OK but I didn't realise that it had gone that well. We have worked hard, every lunchtime we were in our teacher's classroom working on it. "I had not thought about enterprise before and when I first started I didn’t think I would remember it all but the more we practised the easier it got. "It has been a great experience and now I believe that I can do some really good stuff. I am more confident and I answer questions in class more now." The Pingle School were one of six schools who reached the final, where they presented fully costed ideas to meet a brief set by Premier League Executive Chairman Richard Scudamore, which this year was to increase their club's international fan base and its income streams for the USA. A hundred schools took part in this year's challenge, with 30 Premier League and Football League clubs engaging 600 young people. The competition, run in partnership with Sport Relief, uses football to engage young people in business activities and has been running since 2009 with 11,000 young people engaged to date.